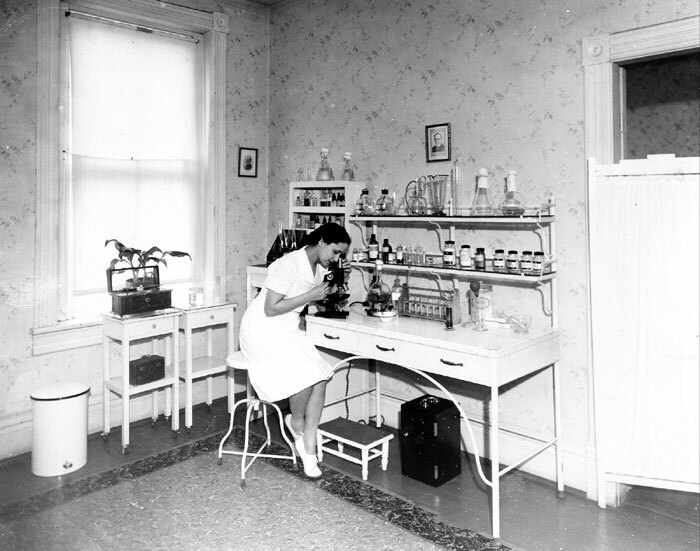 A black and white photo of a lab technician looking through a microscope in a room at Gavilla Children's Clinic in Ybor City. Photo credit: Courtesy of the Special Collections Department, University of South Florida. Digitization provided by the USF Libraries Digitization Center.